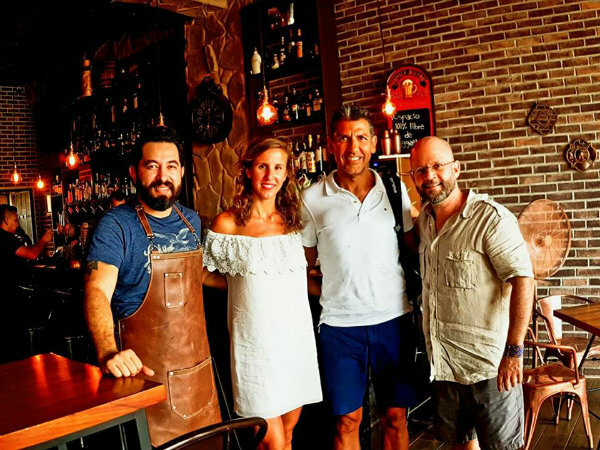 The Spanish chef, who was in town to participate in the 2017 Vallarta Nayarit Gastronómica KickOff, took advantage of his visit to tour the most iconic sites in Mexico’s Pacific Treasure. Spanish Chef Paco Roncero is spending a few unforgettable days in the Riviera Nayarit. After his participation in the 2017 Vallarta Nayarit Gastronómico KickOff last Tuesday he stayed on to enjoy a few days off in Mexico’s Pacific Treasure by invitation of the Riviera Nayarit Convention and Visitors Bureau (CVB) and its Public Relations office. 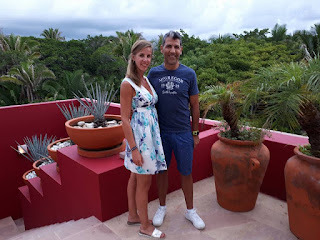 During his stay he toured Sayulita, the Islas Marietas National Park, Punta de Mita, San Pancho and a few other spectacular attractions together with Nerea Ruano, his life partner. Both put into practice the tagline on their social media sites: Run, Cook and Be Happy. Day 1: The Magical Town of Sayulita was the first stop on the specially prepared itinerary, where the guests thoroughly enjoyed a tour of the narrow streets of this coastal micro destination, marveling at the colors and the fun vibe, similar to that of the 60s: love and peace, and getting up close and personal with nature in a relaxed, friendly ambiance. Musts included the photo op on the famous Delfines street with the colorful cut paper fluttering in the background, lunch at San Pedro’s and a visit to the art galleries and Mexican handicraft shops, where they bought a few souvenirs for their return home to Spain. Later on they were treated to a mescal tasting at the Observatory and dinner at Tukipa, a gorgeous getaway on the edge of the cliff with spectacular views and an ideal ambiance to enjoy nature and soothe mind, body and soul. Day 2: The tour included a visit to the Islas Marietas National Park, a natural preserve protected by the Government and the UNESCO. 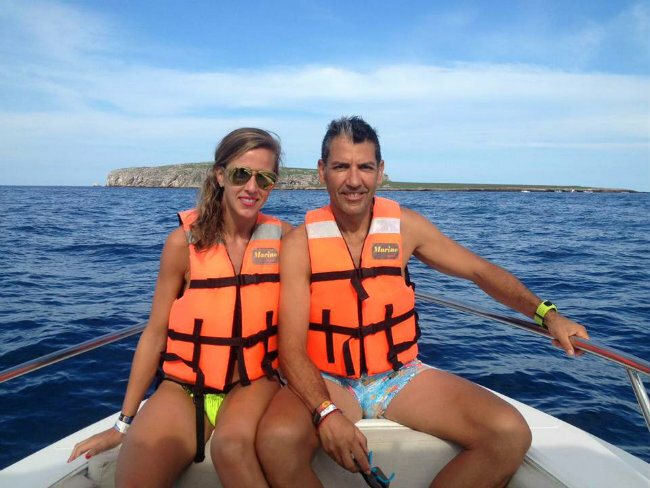 Paco and Nerea arrived on a boat helmed by Punta Mita Expeditions, a certified tour operator. They were excited about the visit from the moment they got onboard and began to ply the waters of Banderas Bay, but they were truly awestruck when they saw the entrance to the famous Playa del Amor. They also viewed La Nopalera beach with its clear water and white sand, admired the diversity of the marine birds that live on the islands and went underneath the rocky formation known as El Puente, The Bridge, which, of course, looks exactly like one. The day ended with a relaxing massage at the Apuane Spa followed by an incredible dinner at the Aramara restaurant accompanied by the sounds of the live Cuban music that plays every night at the bar, located on the Riviera Nayarit’s Glamour Peninsula. 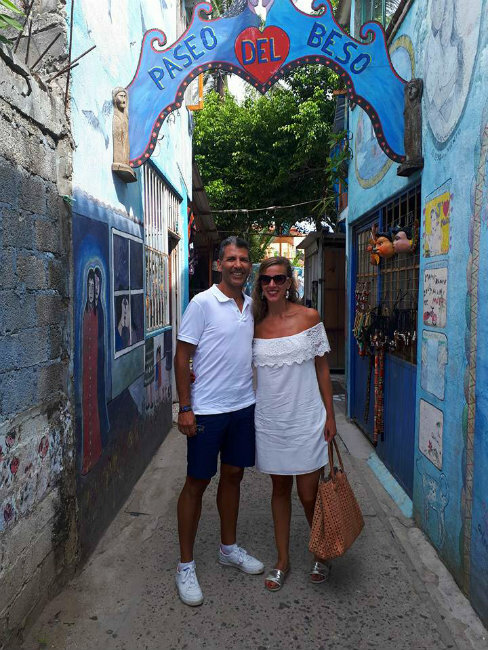 Day 3: San Pancho, the Riviera Nayarit’s Capital of Culture, was chosen as the grand finale for Roncero and Nerea’s visit, where they browsed the Huichol art and the galleries, taking in the tranquility of this fishing village that has evolved without losing its sense of self. At the beachfront Las Palmas restaurant they enjoyed a delicious variety of aguachiles, a house specialty. That afternoon they still had time to visit the town of Bucerías (the Place of the Divers), one of the Riviera Nayarit’s most visited micro destinations both by national and international tourists looking to relax and enjoy the sandy beaches, colorful hotels and calm waves. Paco and his partner walked down the cobblestone streets, through the plaza, and the crafts market, but what really drew them was the Paseo del Beso, the Kissing Lane, a must-stop when in Bucerías. It’s actually a narrow lane that obliges couples to stop in the middle and share a movie-style kiss. However, the guests couldn’t leave without a stop at the trendy gastro-bar: Alquimista Cocktail Room, where they enjoyed some of their very famous Cocktails With Feeling, specially prepared for them by Israel Díaz himself, the Riviera Nayarit’s Mixology Ambassador. After their visit to the Riviera Nayarit, the Spanish chef voiced his surprise at the quality of the destination’s gastronomy, its hotel infrastructure and the warmth of its people, so much so that he promised to return very soon. Paco Roncero is one of the top proponents of Spain’s cutting-edge cuisine. His pioneering technique and creativity can be felt not only in his style of cooking but also in his way of offering and understanding gastronomy as a unique sensory experience. On his résumé: Madrid’s prestigious Escuela de Hostelería y Turismo (Tourism and Hotel School) and stints at Zalacaín and the Ritz Hotel. He has also garnered some of the most prestigious culinary awards, among them, the 2005 Chef L’Avenir Award from the International Academy of Gastronomy and the Premio Nacional de Gastronomía 2006 (2006 National Gastronomy Award) from the Real Academia de Gastronomía Española (Royal Academy of Spanish Gastronomy). He currently boasts two Michelin stars and three Soles from the Guía Repsol magazine for his restaurant, Terraza del Casino. He is also Executive Chef and Director for Madrid’s NH Collection Casino; the Estado Puro gastro-bars in Madrid and Shanghai; La Canica in San Miguel de Allende, Mexico; Versión Original in Bogota; Pata Negra in Cartagena de Indias (Colombia); and Sublimotion, the most avant-garde and innovative restaurant ever opened, located in Ibiza’s Hard Rock Hotel. 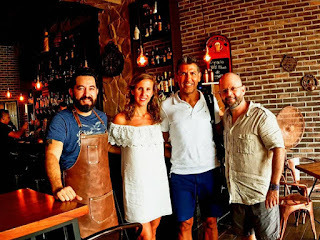 He was also a judge on the first and second editions of Masterchef Colombia and on the third and fourth seasons of Top Chef, a contest for professional cooks on Spain’s Antena3 Televisión. Paco Roncero has over 24 thousand fans on Facebook, over 91 followers on Twitter and more than 181 thousand followers on Instagram; he’s been posting daily since his arrival in the region.